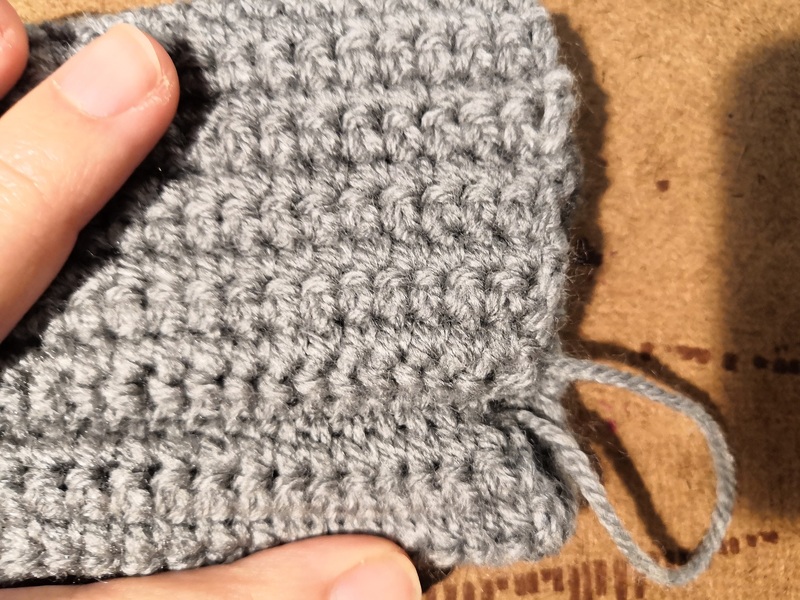 If you’ve never tried this method before, it’s a game changer and it’s super easy… definitely worth looking into as it is tidy and stretchy which gives it a much nicer finish than making single crochet stitches into chains. Fold fabric in half and sl st through stitches on both sides to create a seam. The next set of rows will be worked in a continuous spiral. 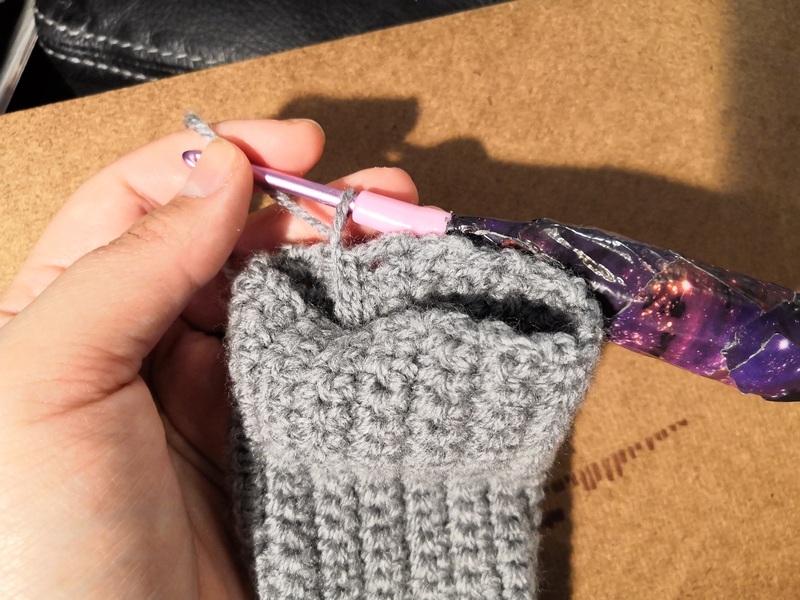 Turn work as in above photo and place stitch marker in the loop that is on the hook. 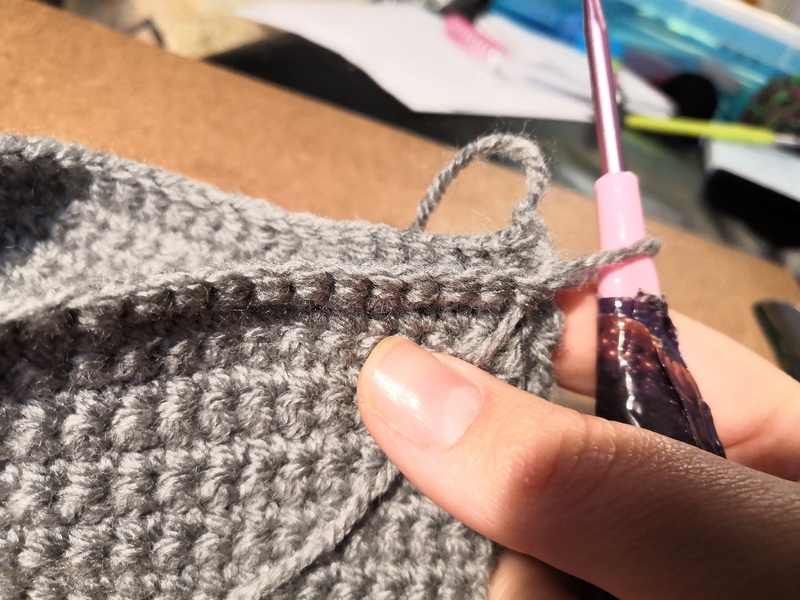 Replace stitch marker each time around so that you always know where your starting point is for a new round. 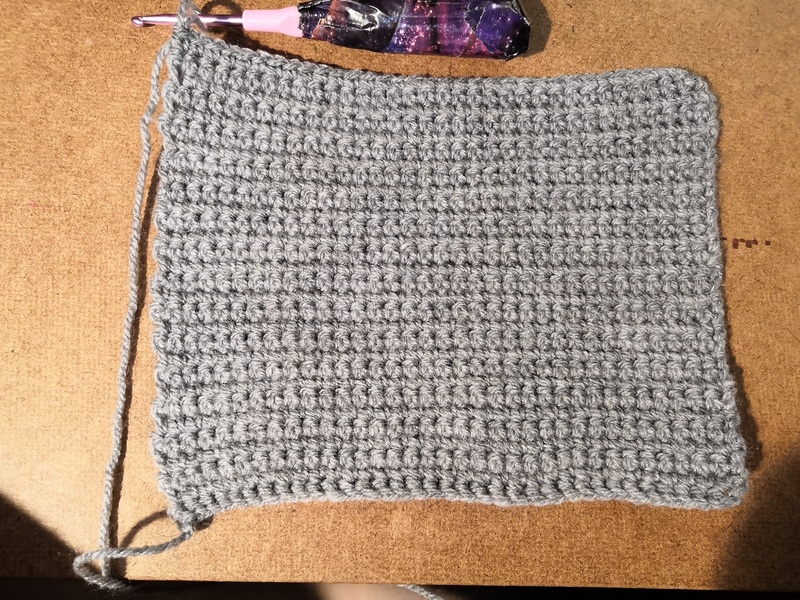 Round 3 (for left hand glove) SC in first SC of round 2 then chain 10 LOOSELY, skip 5 stitches and sc into the 7th stitch from the marker. Round 3 (For right hand glove) Sc into first 23 sc of round 2 then chain 10 LOOSELY, skip 5 stitches and sc into the next two stitches. Now is a good time to try on the glove to be sure that the thumb hole is comfortable and not too stiff. If it feels uncomfortable pull back to round 3 and do the chain loop again, looser. 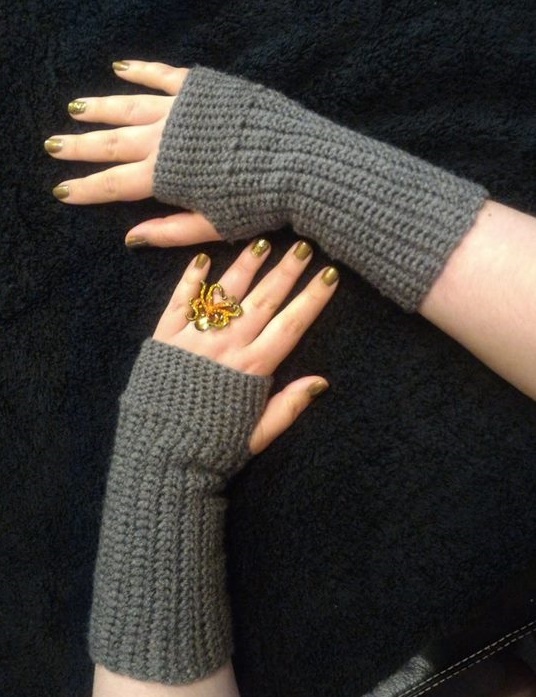 Once gloves are at the size you are happy with, fasten off and sew in ends.